"Todo correcto. El envío bastante rápido. Un saludo." 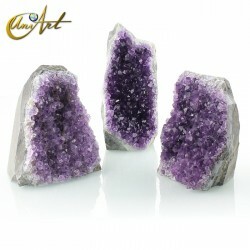 If you want to buy crystals online, on UniArt we make it easy. We are a shop selling crystals and semi precious stones, that is focused on mythical crafts and its esoteric meanings. 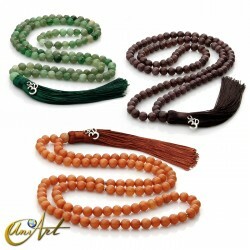 We offer you pendulums, amulets, products for chakras, for therapies, etc. For us, the sale of crystals is not only a trade, it is a way of bringing you these magical crystals and the wisdom of the people who used their power wisely. Gemmotheraphy has gained great importance in recent years. 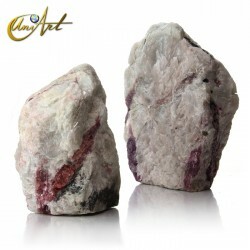 With the help of semi precious stones, ancient techniques such as massages or reiki get to generate greater well-being physically and also emotionally. 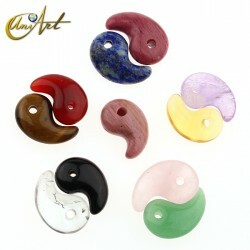 The therapeutic use of gems is widely known and increasingly used at different levels. On our website there is information about all the crystals that we sell: agates, aquamarines, quartz, tourmaline and many more. Do not forget to read carefully the descriptions of each of our products to get to know all its properties. We should not forget that crystals serve to shape so precious and beautiful objects such as necklaces, bracelets, rings and all kinds of beads. 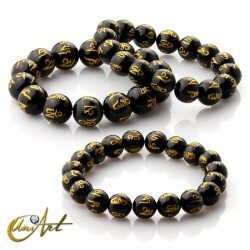 Always beautiful bijouterie and according to the personality of each person. Shapes, colors, sizes... crystals allow to play with all of them to create striking and beautiful bijouterie objects, which, to some extent, can be cataloged almost as jewelry. So, if you are looking for the best shop specialist in crystals and with the best market prices, no doubt this is the right website. And it is because of the variety and quality of the products we offer, and by the fact that we sell both retail and wholesale. To buy various crystals, amulets or products made from stone, already manufactured jewelry or crystals to manufacture them is very easy with UniArt. And not only that, but also we have stock for immediate delivery.